Diamonds.net - What Makes a Good Synthetics Detector? RAPAPORT... 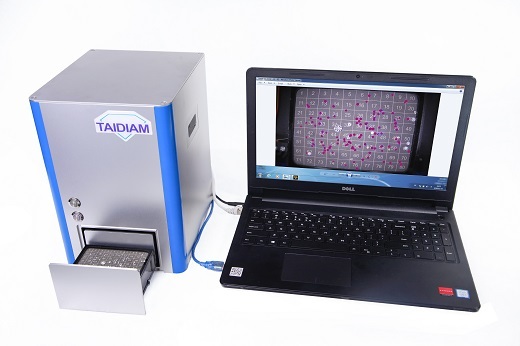 The massive project by the Diamond Producers Association (DPA) and Signet Jewelers to test and review 18 synthetic-diamond detectors has raised an important question: What should you look for in such a machine? Accuracy is, of course, a major part of the equation (alongside speed, price and usability), but it isn’t a clear-cut issue. The first set of results from the DPA and Signet’s Assure Program, which came out last week, gave up to nine different performance scores for each scanner, reflecting their varied abilities. The criteria don’t all apply to every machine, as only five of them can conclusively detect lab-grown diamonds, while six merely claim to refer questionable stones for further checks. The other seven are still undergoing testing. Consumers expect retailers to give formal reassurances that their products are what they say they are, and those are only as reliable as the detection machines the retailer or supplier used, Lieberherr explained. Out of all the associated risks, the main one is that a synthetic diamond should mistakenly be sold as natural, he added. That measure is far from the only important one. A machine that’s overly strict, wrongly referring some natural diamonds for further testing, might be good if you want to be sure you’re left with only natural stones. But those additional tests may be expensive. You might need to buy more than one machine. Plus, a buyer who receives a batch of natural diamonds and finds that some of them can’t be verified may grow unnecessarily suspicious of his or her supplier. But what if you’re a synthetics company looking to ensure your inventory comprises entirely lab-grown diamonds? The relevant measure might be the “synthetic-diamond false-positive rate,” which assesses how often machines wrongly labeled stones as lab-grown, when they were in fact natural diamonds or simulants. However, most people who buy synthetics detectors are mainly interested in being sure that the stones they think are natural are indeed so. By that measure, most of the devices gave a good showing. How the testing works The Assure Program tested 18 machines from 11 manufacturers against a standard developed by UL, a third-party testing agency, and by a technical committee of gemologists. Some of the committee members were from device manufacturers, including De Beers, the Gemological Institute of America (GIA), and the Antwerp-based Scientific and Technical Research Center for Diamond (WTOCD), which developed the M-Screen+ machine that HRD Antwerp sells. For that reason, an independent adviser supervised the creation of that standard to ensure impartiality, Lieberherr noted. All committee members approved the standard and the sample of stones, and UL carried out the tests independently, he added. The sample comprised 1,000 natural diamonds and 200 synthetics, including stones created by chemical vapor deposition (CVD) and High Pressure-High Temperature (HPHT), while some of the man-made specimens had undergone post-growth treatments. All were round brilliant cuts, larger than 2 millimeters in girdle diameter, D to J color, and of mixed clarity. Machines that claim to detect simulants such as cubic zirconia also underwent testing on a sample of 200 of those. The batch was intentionally challenging, and included custom-made synthetics that are not yet available commercially. That ensured the test was “future-proof” and able to differentiate effectively between the instruments, the DPA explained. The DPA initially tested each stone with several gemological laboratories to confirm their origins. The natural and lab-grown diamonds also had slightly different sizes, enabling UL to verify machines’ answers using sieves. “This system, proposed by the technical committee, has proven to be 100% reliable,” Lieberherr said. The DPA will release results of further tests in the coming months, covering new samples with additional sizes and colors, as well as stones mounted in jewelry.